Andreas Widmann is a producer of very small quantities of excellent wine (in my opinion some of the best made in the Alto Adige). His beautiful old house and cellar are in the old part of the village of Cortaccia; the cellar is under the house, and the scale of it is more like home winemaking than commercial production. His family has made wine here since 1824. The imacculately tended vineyards are just south of the village on steep slopes at altitudes between 250 and 600 meters (almost 2000 feet) above sea level. Andreas follows every aspect of the grapegrowing and winemaking himself, a Baron with dirt under his fingernails. The wines are impeccably made and full of character, an ideal combination. 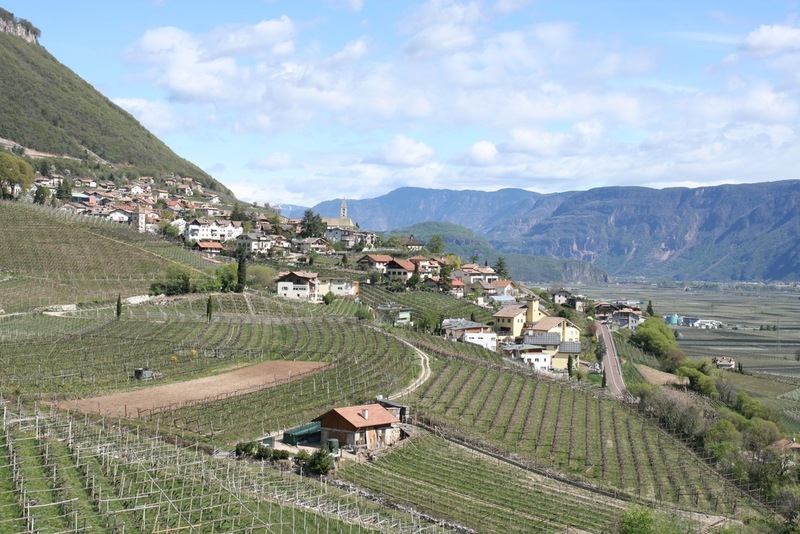 The only problem here, as with many of the best small growers from the south Tirol, is that there is very little wine available, as the local market is so strong. Nonetheless I am delighted to be able to offer these gems. 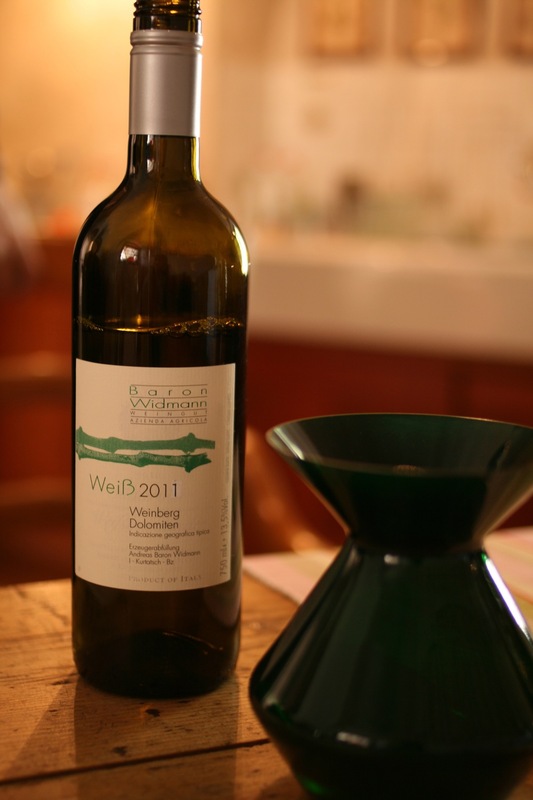 'Weiss' is a blend of 'various clones of Pinot Bianco and Chardonnay', as Andreas states on his website, with the unmentioned addition of Petit Manseng, a racy variety from the Jurançon (of all things). An outstanding white wine, generous in the mouth but with excellent acidity and mineral notes (from the Manseng and high-altitude Pinot Bianco, presumably). I imagine this wine will age very nicely for at least five years. Vernatsch is the local name for the Trollinger (or Schiava) variety, which produces pale red, delicious and very drinkable table wines (sort of like a cross between Beaujolais and Bourgeuil and as mouthwatering and savory as that description suggests). Andreas's version is top-notch, with hints of spices and herbs. It is an excellent complement to most pork dishes and great with salumi (or the local Speck ham, which I am starting to see over here). This is a wine to be drunk and not discussed.